Today is the birthday of Nelson Mandela, Mandela Day, or according to his tribal honorary title: Madiba Day. And even though the media as well as the South African presidency were relatively quite about Mandela’s health condition the last days, punctually to his 95th birthday today they released the good news: Nelson Mandela’s health is steadily improving. Until today it seems not only the ANC but South Africa in its entity is struggling to find a worthy successor for Nelson Mandela, clinging to the hope he might last a little bit longer. And of course one may ask: Is it a nice gesture or more of PR campaign when president Zuma visits Mandela on his birthday in hospital. This year’s birthday also marks the 15th anniversary of his marriage to his third wife Graca Machel. Meanwhile his second and ex-wife the notorious Winnie Mandela spoke this morning in a radio interview on Radio 702, telling that Mandela’s 95th birthday was “a gift not only to the family (…) but to the nation.” At the same time she declined that Mandela’s death would lead the nation to its doom. “The country will solidify and come together”, she said. 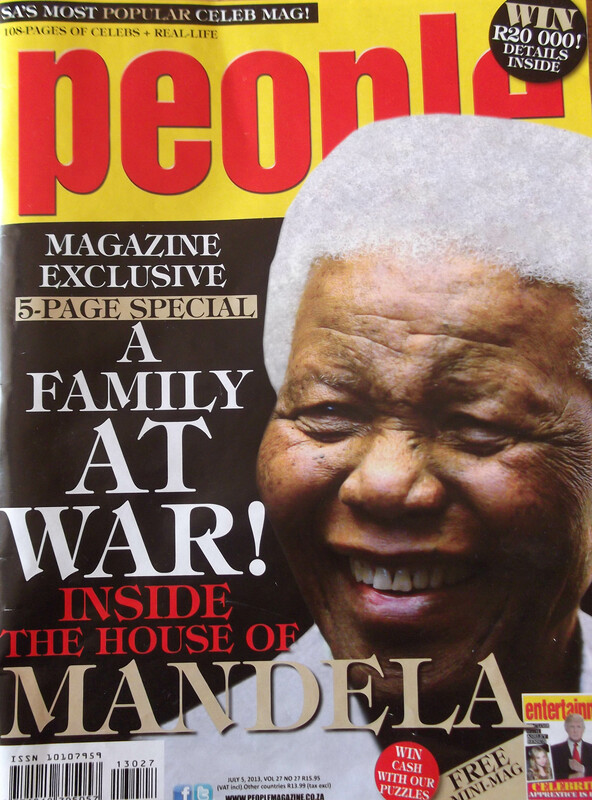 Throughout the Media, not only Africans but Europeans as well, Mandela’s birthday was featured as the number one theme in Africa. And that did not only include the celebrations or his health issues. The “Daily Maverick” today for example dedicated a whole article to Mandela’s clothing through the ages, “Chronicles of Chic: Mandela, man of style”, something that in the first moment sounds strange but is an article worth reading, explaining how Mandela has always used clothing to make a statement. Apart from the political and for some personal struggle about the Mandela legacy, the July 18 is quite a remarkable day in South Africa: In 2009 it was declared the official Mandela day to honour the former statesman and to encourage people in South Africa to spare 67 minutes of their day and engage in charity work. All this to recognize Nelson Mandela’s fight for democracy and human rights in South Africa, 67 minutes to recognize Mandela’s 67 years of work for the community.